What is a mutual will? Mutual wills are usually made by couples to protect themselves and their children in the event that either or both the parties pass away. This is to plan for a common disaster. For example, the couple perishing in a car accident or other tragedy. This is an alternative to both spouses making individual wills. Mutual wills have a basic structure to an individual last will. Mutual wills are similar to mirror wills (read more about the differences between the two in this article). It passes on personal property to certain people and leaves everything else to the surviving spouse. The surviving spouse, in turn, has the right to use the property in whichever way he or she wishes to do so. However, in the event where both spouses are deceased, only then will the remaining estate be distributed to the beneficiaries in accordance with the will. Mutual wills are usually made by two people, both signing two similar wills which deal the same property that they possess, to make a will for their beneficiaries and they are not allowed to revoke it without the consent of the other. Mutual wills may be created by any two individuals, but they tend to be created mostly by married couples. Before the death of one of the spouses in a mutual will, the mutual will can be revoked by mutual agreement of both testators (persons making the will). When one of the parties passes away, the survivor will then inherit the property in a form of a constructive trust for the beneficiary and due to this constructive trust, the survivor is not allowed to revoke the will nor alter it to benefit another person. The mutual will is meant to benefit solely for the beneficiary stated in the mutual will. Although it is said to be a will for couples, it is highly advised not to make one as it restricts the freedom of the survivor and causes a lot of inflexibility and rigidness to their lives. If one intends to benefit the beneficiary, one should do so by making the will to benefit him directly instead of making a mutual will. That being said, a mutual will is still beneficial in cases where for example, one may worry that if the beneficiary (the children of the parties) inherits the property and then chooses to evict the survivor after obtaining the property. Since the mutual will places the property with the surviving spouse, this prevents such an event from occurring. For mutual wills, a couple agrees to make a will in a particular form, with clear evidence indicating that their wills cannot be revoked unilaterally and that their estate is to be distributed in a specific manner. Mutual wills are rare given their inflexibility. For estate planning, we often advise our clients to review their wills after crossing major milestones in their lives (such as a drastic change in financial situation or a birth of a new child), as they often want to manage their assets in a different manner following such milestones. For mutual wills, the survivor is still required to comply with the agreement for the remainder of their lives. Given that circumstances and wishes are likely to change over time, this may not be desirable. It is also of importance to highlight that the surviving spouse may be left to manage assets which they may not be equipped to deal with, such as company shares, which may depreciate in value if not properly managed. Why do people get mutual wills? People may decide to get a mutual will rather than a mirror will in order to provide more protection to their beneficiaries, as it is an agreement between the spouses that following the death of one of them, the other will not change their will to defeat the current joint intention. When the first testator to a mutual will dies, a constructive trust of the property left to the survivor under the deceased’s will arises. This trust arises immediately and binds the survivor in relation to the deceased’s property left to him. While the surviving testator may revoke his will, any alterations for mutual wills are neutralised due to the constructive trust created over the survivor’s assets. The binding intention between the parties means that the surviving party is obliged to give effect to the initial will arrangement. The purpose of mutual wills is to ensure certainty that the terms will be enforced. However, if a couple is harmonious then the necessity of making mutual wills is reduced. Mutual wills were resorted to in the past by couples to ensure that their assets will benefit their children rather than a widow or a widow’s spouse following a remarriage. This concern may be addressed through a more flexible measure: creating a life interest trust in a will. When is it a good time to create a mutual will? Given the inflexibility and irrevocability of mutual wills, couples should consider mutual wills when they are in a financially stable point in their lives. How long does it take to draft a mutual will? The process of drafting of a will usually involves a few rounds of discussions and clarifications. Most of these discussions can take place over a phone to expedite the process and save costs, unless the couple needs more assistance in deciding a main outline of their wills, in which case a sit-down discussion is necessary. Usually, the creation of a will should take no more than 2 weeks, from the taking of instructions, clarifying all the details and the execution of the will itself. How much does it cost to create a mutual will? Is it cheaper than a regular will? A mutual will, like mirror wills, would usually not be too complicated compared to a regular individual last will. This is because they have to be fairly general in nature. Mirror and mutual wills contain substantially similar terms and as mentioned above, are requested by couples with similar wishes on estate distribution. In terms of drafting, straightforward mirror and mutual wills are cheaper than two regular individual wills, as the second will replicates many terms from the first. This may appeal to couples looking for a faster and arguably cheaper way of planning their estate distribution. Who can write a mutual will for a couple? It is advisable for couples to seek legal advice before deciding on the distribution of an estate, as a lawyer would be able to run through the various alternatives, propose practical management considerations for the administration of the wills, and advise as to the solution which is to the couple’s best interests. It is also recommended that couples seek a professional to draft a mutual will, as it is a legal requirement that there be a binding contract proven by clear evidence between the parties, including an agreement not to revoke the wills. Question 1: What are the differences between mirror and mutual wills? Mirror and mutual wills are often created by couples who usually have substantially similar assets and wishes when it comes to estate planning. Mutual wills are irrevocable (unless by mutual consent or notice), while mirror wills may be revoked by either party. While a surviving spouse to a mutual will continues to be bound by the terms, a surviving spouse to a mirror will may change his or her will as they deem fit. Therefore, mutual wills provide certainty as to terms and that the other spouse will continue to be bound, whereas mirror wills afford more flexibility. We usually recommend couples to do mirror wills as we view estate planning as a lifelong responsibility, and mirror wills allow couples to review their wills with more ease. Couples should let their lawyers understand their concerns, so that the best approach may be recommended for them. Question 2: What are important considerations to keep in mind when making a mutual will? Mutual wills have largely identical terms and are structured in a manner to ensure fairness between the parties. However, parties should also consider whether this best gives effect to their intentions, as they may want to deal with specific assets with particularly high financial or sentimental value in different ways. Have a question on mutual wills? If you have any question about mutual wills, you can get a Quick Consult for a transparent, flat fee of S$49. You can expect a call back within 1-2 days on the phone to get legal advice and have your questions answered. Alternatively, you may wish to request a quote from Pei Fang. This article is written by Lim Pei Fang from Yuen Law LLC and Brandon. Wills: What is the role of an executor and administrator in your will? Pei Fang is an Associate with Yuen Law LLC. 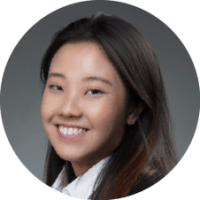 She is trained under both our firm’s Managing Director, Samuel, and Director, Fung Peen, where she was exposed to a wide range of transactions and cases. These include both corporate matters such as the drafting of shareholders’ agreement and overseeing the sale and purchase of businesses, as well as private client files and more contentious cases. Pei Fang believes that the law cannot be practiced in a vacuum, and strives to understand each individual client’s needs or businesses in order to serve their interests.